Water. The bane of redstone engineers and tracklayers everywhere. It flows all over your builds and causes everything to fall off... Right? Not anymore! 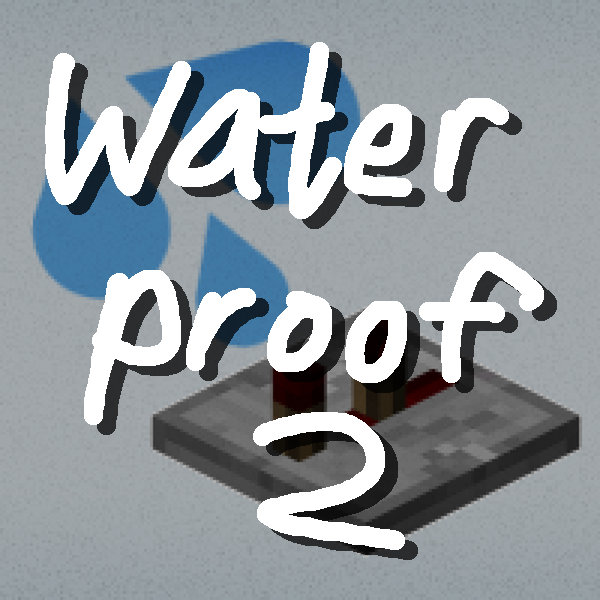 Waterproof 2 simply blocks water (and other fluids) from flowing into redstone and rails. The list of blocks is configurable; the defaults are shown in the above image. Or, if you will, it puts the "oof" in "waterproof". This makes use of a class transformer; it's a coremod, so keep that in mind. 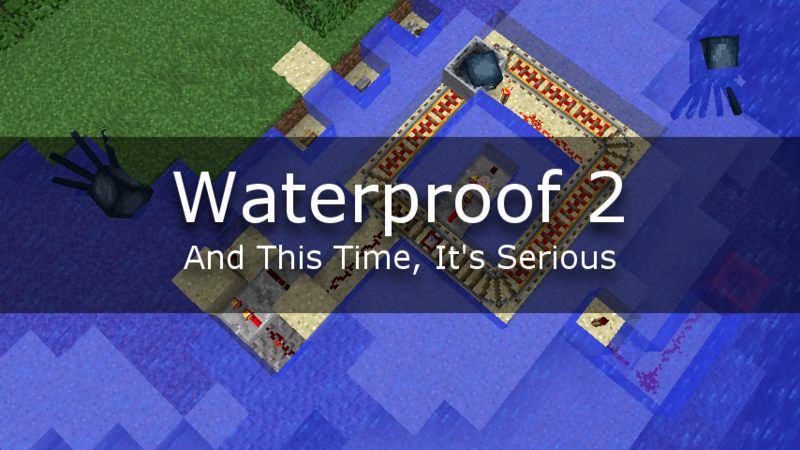 Waterproof 2: And This Time It's Serious is a continuation/port/recode/whatever of Waterproof, by Vazkii. Of course you can use this in your modpack. Idk is having to beg modders for modpack permissions still a thing? I hope not. did you try adding their item IDs to the config file? Great idea! I have never built anything with redstone that hasn't been messed up by water at least once. And the few times I have tried to build something under water were so frustrating. I bet even the under water redstone experts will appreciate this mod. Can you dumb this down for me please? "This makes use of a class transformer; it's a coremod, so keep that in mind." So basically, when the game is on (or is about to be on) the loading screen, it loads each of the game classes, one by one, in turn. Classes contain executable Java code. Eventually it gets to this vanilla class called BlockDynamicLiquid, which is the class that the vanilla water and lava blocks are instances of. When it does, I just add an additional line of code to it - there's this method called "canFlowInto" which returns "true" for blocks like air, plants, rails, redstone; and "false" on solid blocks that block a fluid. I simply patch that method to blacklist a few more blocks. They are a bit dangerous, since if I screw up the patch the game can fail to load, and they can cause debugging headaches since the Minecraft source code no longer matches the code in the running game. It's customary to mention their use for that reason, and that's why all Forge crash logs prominently list the loaded coremods. InsomniaKitten pointed out that I'd be able to registry replace the water and lava blocks instead. Instead of changing the vanilla fluid block, I just make a new one with the changed fluid flow behavior, and replace the vanilla one with mine. That sounds a lot less hacky. Thanks for the explanation. Kind of took me back to the old days and how we had to extract the class files and delete the meta_inf file. I remember the controversy about how it was hacky and troublesome, often having to delete the whole .minecraft folder to fix the errors. I lost many maps during that time. Can't even remember what versions that was.